with its magnificent Sandstone cliffs and idyllic valleys, and after Ane’ had driven 3 hours for her appointment with me, I agreed and felt privileged to be attending her birth. Ane’s first birth held some disappointing memories. She said the felt she was forced to have an epidural because the staff would not allow her to walk around during labour at the Hooglands Mediclinic in Bethlehem. The contractions were too painful in the lying down position. The staff also would not allow her to eat during labour. Both of these prohibitions are well researched and there is no medical reason why a woman should be forced to lie down on her back in labour or be deprived of food. 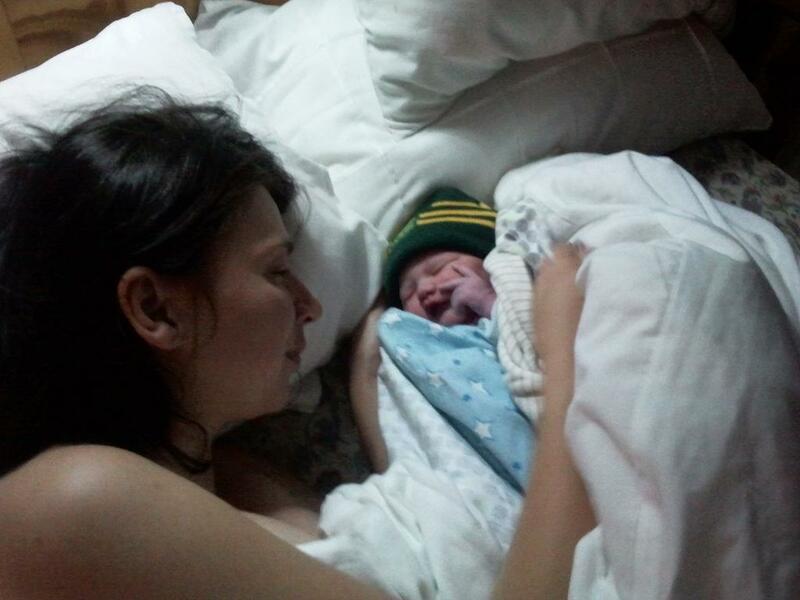 The labour ended in a forceps delivery with an epidural after which her baby Annika was taken away from her. 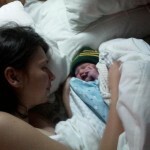 Thereafter, her baby really struggled to latch and breastfeeding was an ordeal for both mother and baby. With her second pregnancy, Ane’ instinctively knew she wanted the experience to be different. 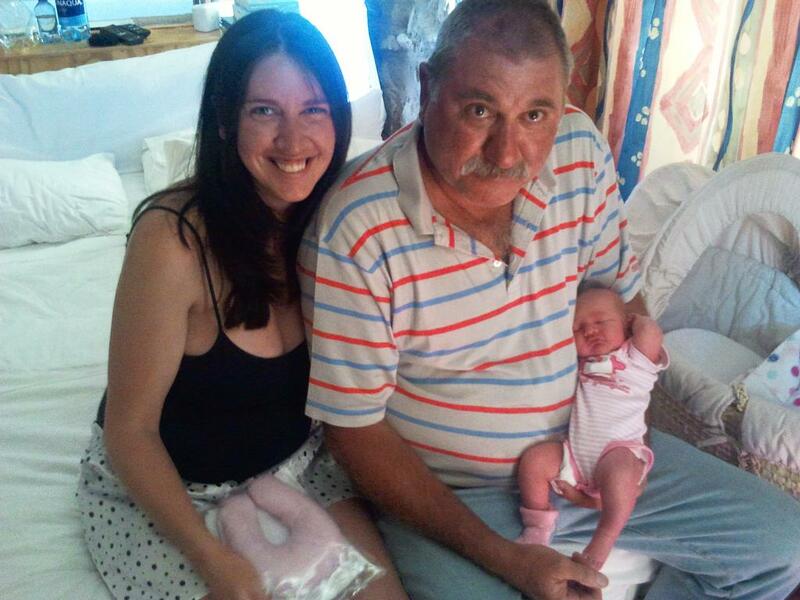 Bethlehem is half an hours drive from Clarens and her Obstetrician agreed to be the back-up support at the medi-clinic if transfer to hospital became necessary. Ane called me to say that she suspected her water was leaking and confirmed at 6pm that it definitely was amniotic fluid. By this time I had packed the car with my midwifery bags and oxygen unit and was driving on the highway to Clarens via Harrismith. Later, as I drove through the Golden Gate Nature Reserve chasing the sunset glow behind the outline of mountains on the horizon, I was literally on top of South Africa. 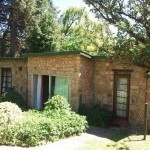 When I arrived at Ane’s picturesque stone cottage built around living tree trunks, Ane’ was ambling, eating and preparing her cottage for the arrival of her baby girl. Contractions picked up as soon as I arrived at 08h30pm, almost as if my presence gave her body permission to relax and proceed with having the baby. By 11h30pm the contractions were frequent and strong. I ran a bath and suggested Ane’ enter the warm water. Almost as soon as Ane’ entered the bath, she began to feel a bearing down sensation, in her words ” like wanting to do a BIG poo”. She managed to breathe through a few contractions and then could not resist the urge to push, so strong was the sensation. Ane’ was kneeling forward in the bath and within 3 x contractions the expulsion reflex was complete and the baby was in my hands. 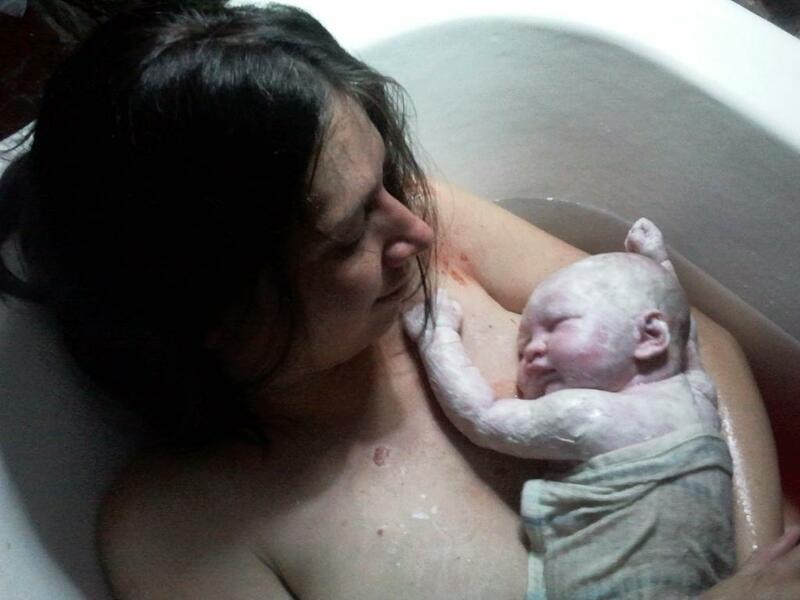 I passed the baby to Ane’ inbetween her legs and she lifted her baby onto her chest and lay back in the warm water. What a moment of satisfaction, triumph and relief. Soon I helped Ane’ out of the bath with her darling Aerin and tucked them into bed. Sleep, breakfast and a day of celebration followed with family and friends popping in to congratulate and share in the joy. 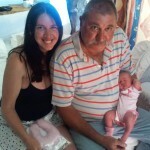 Ane', Oupa and Grandaughter Aerin! Hi. I am on search of a midwife. I am from Kestell (between Bethlehem and Harrismith) and you are the only one I can find. Can you please contact me on 0767066606? 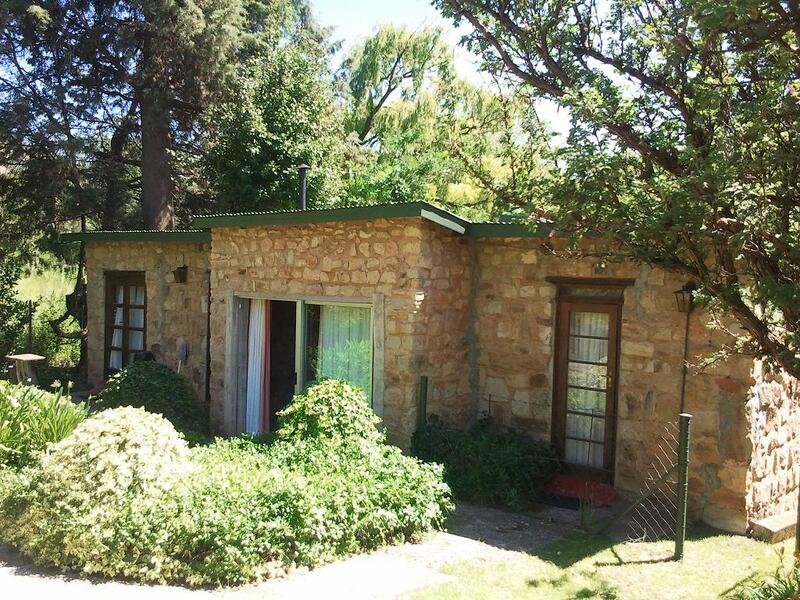 I travelled to Clarens to do attend the homebirth of a client who begged me to come. What are your needs? Transport and travelling time is always a problem though…. When are you expecting to give birth Corlene? ie When is your due date?